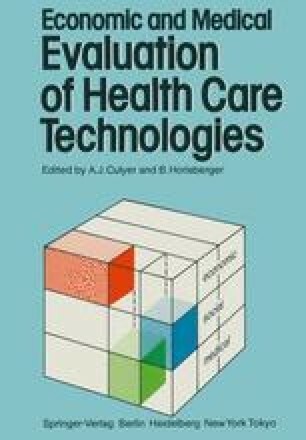 Economic evaluation of medical technology implies, in brief, calculation of the costs of resource inputs in relation to what can be achieved by them. In theory the approach essentially is to identify, quantify, and assess all relevant inputs and relate these to their outcomes. However, this may be difficult in practice.